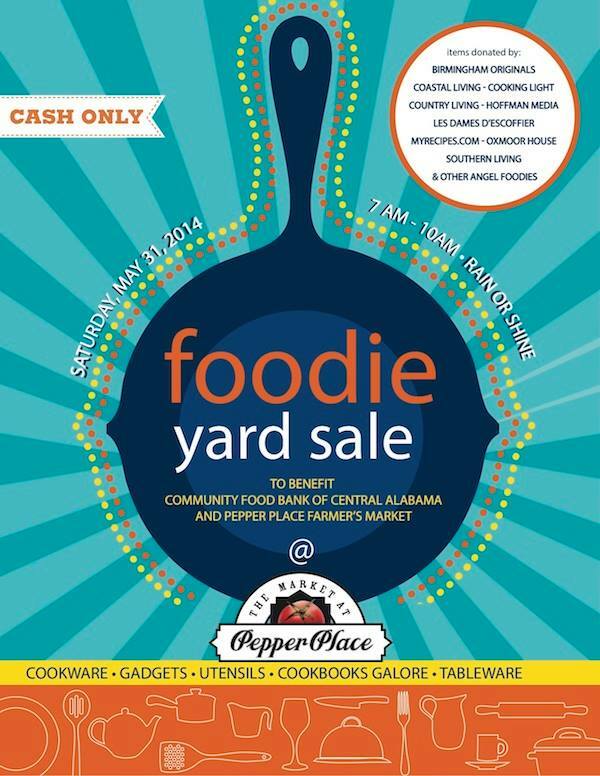 WHAT IT IS: A kitchen and tableware sale to benefit the Community Food Bank of Central Alabama and Pepper Place Market. Buy as much as you can carry in 1 trip on Saturday, May 31 from 7 am to 10 am. Cash only, please. These can be from your home, restaurant, test kitchen, or office. Maybe you received 6 bottles of barbecue sauce and an apron as a promotional item? Or maybe you have a lovely set of china that you want to go to a good home. Send them our way! *Please, no battered pans, stained table linens or that broken 1967 avocado green blender from the basement. All donations are tax deductible, and we can provide you with a receipt. WHEN WE NEED IT: by Tuesday, May 28. Community Food Bank of Central Alabama, 107 Walter Davis Drive, Birmingham, AL 35209, 7:30-3:30 Mon-Thurs. and 7:30-2:00 Friday. IF YOU WANT TO VOLUNTEER: We’ll need help May 29, 30, and 31 setting up, pricing items, moving items to the sale site, and manning the event. Contact Donna Floriodonnaflorio12@yahoo.com, or Angela Schmidt angelarschmidt72@gmail.com or Amanda Storey at astorey@feedingal.org.